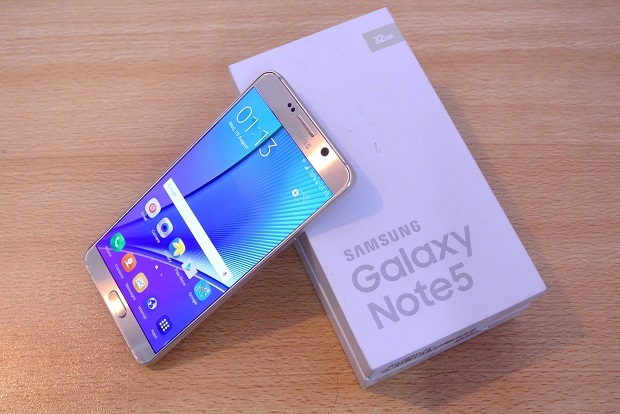 Despite being released in 2015 the #Samsung #Galaxy #Note5 is still the latest Note device that you can buy in the market because its successor, which is the #Note7, has been recalled and discontinued. So how does a phone sporting a two year old hardware compare with the latest releases? It’s actually holding up pretty good as it is still able to outperform most of the newer phones. Although this phone is being used by a lot of people as their reliable daily driver there are instances when certain issues can occur which we will be addressing today. In this latest installment of our troubleshooting series we will tackle the Galaxy Note 5 freezes after turning on issue & other related problems. Problem: My Note 5 was working fine before, but now it freezes after turning it on for a couple seconds. The screen works in the way that actions are performed such as when it freezes at the home screen and I press on the app shortcut, I turn it off then back on, and I am in the app. However, when I do pop-up view with Youtube or Spotify playing it magically works just as fine as before it started to act crazy. What the heck is happening ? Did I break the screen or some internal hardware? I tried factory resetting, it works with no problem for a few weeks and then it goes back to the same screen freezing problem. I have dropped the phone multiple times before but this problem never occurred, it seemed as if it is spontaneous. Solution: Since you mentioned that the problem dissapeared after you did a factory reset then it is very likely that you might have installed an app in your phone that is causing this problem. To check if this is the case try starting your phone in Safe Mode. If the problem does not occur in this mode then it could be caused by an app you installed in your phone. Find out what app this is and uninstall it. Wipe the cache partition of your phone from the recovery mode. Backup your phone data then do a factory reset. Do not install any apps in your phone yet after the reset. Observe your phone first and check if the issue still occurs. If it does then this could already be a hardware related problem in which case you need to bring your phone to a service center and have it checked. Problem: The screen mode won’t change. It shows “basic mode” but the colors are like the AMOLED setting on marshmallow. Also the blue screen seeing won’t let me change. In both cases, the seeing is fixed to off and won’t toggle to on to allow our to change. Solution: This phone has several screen modes which can be set to suit the owner’s preference. The default mode that is st is the adaptive display. When in this mode the screen will adapt to the lighting conditions of the surroundings. The other modes are AMOLED Cinema, AMOLED Photo, and Basic. To change the screen mode just go to Settings – Display and wallpaper – Screen Mode. If the display does not seem to change when you try to change modes then try to perform the following troubleshooting steps listed below. Does you phone have a screen protector installed? If it does then try removing it. Check if an app you installed is causing this problem by starting the phone in Safe Mode. If the problem does not occur in this mode then it could be caused by an app. Find out what app this is and uninstall it. Problem: Good morning, my question is I have a Samsung galaxy note 5 SM-N920R0 the phone won’t let me update the software abroad. Took the phone to Samsung store inside best buy but they cannot do anything. Please help. Today I going to sent the phone to Samsung Headquarter to see if they can fixed but before I do I wanted to get More information. Solution: In order for your phone to get the official software update there are certain conditions that it must meet. If you had this phone unlocked then you need to use it on its original network to get the update. If your phone meets the conditions listed above and you still can’t update the device then try the following steps. Use Smart Switch to update your phone. Backup your phone data then do a factory reset. After the reset check if you are able to update your phone. One last troubleshooting step that you should consider is to manually flash the updated firmware file to your device. You can get the firmware file from the Sammobile website which also has instructions on how to flash your phone. Problem: I was using my phone late one night. It was at a low percentage and I fell asleep. Over the night my phone died as I expected. When I woke up I plugged my Galaxy Note 5 to the charger and it didn’t charge. It doesn’t even show the screen that indicates my phone is dead. I checked that the charger worked with another device and it did. My phone received no water or physical damage. I’ve had it plugged up all day and it still won’t charge or come on. Solution: If the charger works on another device then we can eliminate this as a possible cause of the problem. Right now what you can do is to clean the charging port of your phone using a can of compressed air. Make sure that any dirt or debris stuck in this port gets removed. Before charging your phone you should simulate a battery pull first by pressing and holding both power and volume down keys for at least 10 seconds. Charge your phone by following the steps listed below. Try using a different charging cord. Try charging your phone from a computer USB port. If the issue persists then this could already be a hardware related problem in which case you need to bring the phone to a service center and have it checked. Problem: i have a Samsung note 5, I have tried so many option to turn the phone on because the power button stopped working, none of them is turning my phone on. its fully charged. what is another option to turn the phone on? Solution: If your phone is off and the power button is defective then the only way you will turn on the phone is to have the power button repaired or replaced at a service center. Problem: Hi! I’ve been following this thread since the day this happened to my phone. At 100 percent after charging, it doesn’t restart or freeze but after the battery drops to 80 percent, it always restarts or freezes every time. Tried everything, the factory reset, wiped cache but still my note 5 restarts itself. Now I removed the sim card just to try if something will happen and it works, it’s working like there’s no problem. I don’t even use the app wake lock that I saw on Youtube that helps my note 5 sometimes to keep it on. Solution: This is obviously a hardware related problem already possibly caused by a faulty battery or a issue with the SIM slot. You will need to bring the phone to a service center and have it checked. Solution: Try checking if there are any updates available for your phone apps and update them accordingly. If your apps are already running on the latest updates and the issue occurs then do the following steps listed below.